The Scottish Conservatives say fishing communities will “not be fooled” by SNP general-election candidates who try to keep them onside by signing a Brexit pledge. According to the Tories, SNP politicians including Banff and Buchan MP Eilidh Whiteford have signed the pledge to support the UK regaining control of its coastal waters after the country quits the European Union and its Common Fisheries Policy (CFP). This conflicts with First Minister Nicola Sturgeon making it clear she wants an independent Scotland to remain in the EU, Scottish Conservative rural Affairs spokesman Peter Chapman MSP claimed yesterday. The SNP, which years ago campaigned for the UK’s withdrawal from the CFP, said its policy position remained unchanged – that the CFP is not fit for purpose – and the party accused Westminster of treating fishing as a “low priority” Brexit issue. 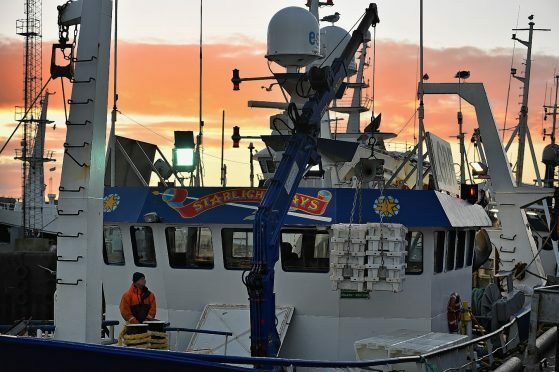 Industry body the Scottish Fishermen’s Federation (SFF) has urged all candidates to pledge their support for its Brexit “sea of opportunity” campaign to restore UK waters to national control. Scottish Conservative Rural Affairs spokesman Peter Chapman accused Ms Whiteford of “a desperate attempt” to regain credibility with fishing communities in the north-east. But voters “will not be so easily fooled”, he said, adding: “Nicola Sturgeon has been absolutely clear that she supports EU membership for an independent Scotland. “That means a return to the disastrous Common Fisheries Policy. There is no way a separate Scotland applying to be a member of the EU would be allowed to opt out of the CFP. An SNP spokesman said: “The SNP is the only party that has continually stood up for Scotland’s fishing industry in Europe, in Westminster and in the Scottish Parliament – unlike the Tories, who infamously and shamefully described our fishing fleet as expendable. “The SNP’s well-known and longstanding view is that the CFP has been damaging to Scotland’s fishing industry – and we have continually argued that it is not fit for purpose.